Tamer thinks of Kai Greene every time someone doubts him. He was tired of hearing that he couldn't be a competitive bodybuilder and channeled his inner Kai to prove it! I was first introduced to weightlifting in high school gym class. I was a short and scrawny 150 pounds and wasn't genetically gifted. My shortcomings encouraged me to work hard, research, and learn through trial and error. Slowly I saw the hard work pay off before my eyes. I was hooked. 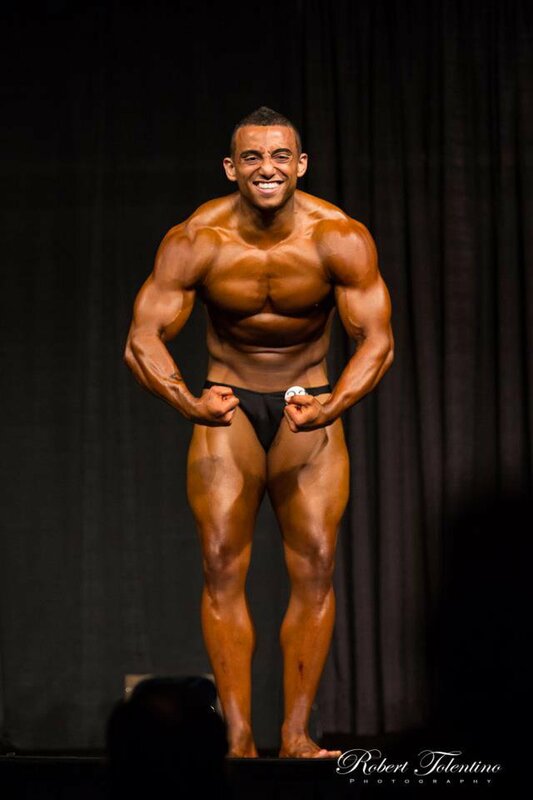 I fell in love with bodybuilding and how it made me feel and look. I transformed from 150 to 170 pounds in the first couple years, but the greatest transformation was in my attitude; I was driven. Bodybuilding gave me a reason to get up every morning ready to train and improve my body. I walked around with pride and happiness. Tired of competing against myself in the gym, I took up competitive bodybuilding. I just completed my first competition and I'm currently training for another. I've never been more motivated or driven about anything in my life. I drink one and a half gallons of water daily. When I started to see my body transform, my passion for bodybuilding skyrocketed. It completely transformed who I am and reshaped my entire life. It gave me confidence, happiness, motivation, and a reason to get up in the morning. It's the greatest sport I've ever participated in. My passion escalated when I started competing. I love the competition aspect of sports. I'm motivated by the benefits I attain from living a healthy lifestyle. In a way, the person I was in the past motivates me to be better today. When I wasn't bodybuilding, I fell into bad drinking and eating habits, and surrounded myself with friends who simply didn't care how they treated their bodies. These people motivate me to avoid a complacent lifestyle. Seeing competitive bodybuilders motivated me to take my physique to a new level. My motivation for bodybuilding grows more every day. I needed the most inspiration during competition prep. I struggled with fatigue due to deficient calories and being a full-time student, so I drew on inspiration from bodybuilding documentaries on Bodybuilding.com. It really motivated me to hear Kai Greene talk about the passion he has for bodybuilding. I also found inspiration in my friends. Close friends and family looked up to and encouraged me to do great things. I just completed my first competition and it was the most amazing experience of my life. Although I didn't win, I had an amazing posing routine and enjoyed entertaining the crowd. I plan to compete again in April 2013 and want to see how far I can go in the competition world. As long as I'm still young and healthy, I'll continue competing. I got my B.S. in biology from Ohio State University and plan to attend pharmacy school. 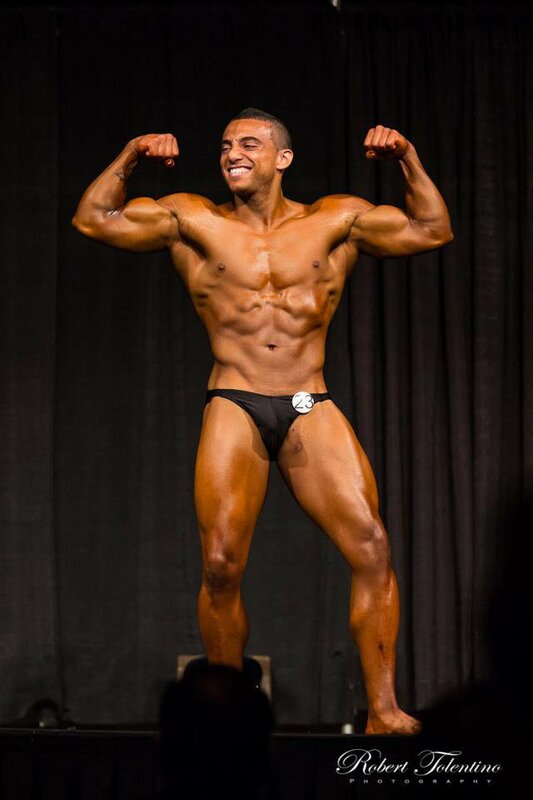 I hope to use the tools I learned in school to make me a better bodybuilder so I can help others reach their goals and promote the sport from an educational standpoint. Make sure you're in it for the right reason. Lots of people have the motivation to get bigger and stronger to intimidate other people. If that's the case, you're in it for the wrong reason. You need to enjoy bodybuilding as a sport and all its benefits in life. It's an amazing adventure that you share with friends, family, and strangers. Be positive and enjoy the sport. Never sacrifice form for weight. I'm a strong advocate of good form and always will be. Get the basics down and lift weight that allows you to execute proper from. From there, the heavy weight will come. Form optimizes the amount of stress on a particular muscle, which minimizes injury so you can keep bodybuilding for years. Kai Greene is by far my favorite bodybuilder. I respect that he came from nothing and matured into who he is today. I can relate to people telling him that he will never make it or that it's impossible to achieve goals. Yet he proved everyone wrong and is one of the greatest bodybuilders on the planet. Not only that, but I respect his philosophies about life and how he relates them to bodybuilding on a deeper level. I use his training videos and documentaries as a motivational tool. 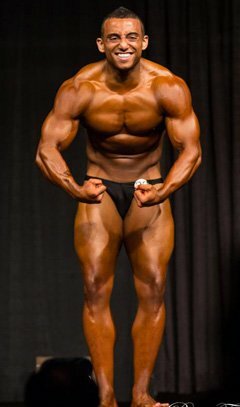 Bodybuilding.com was the most critical tool I used to achieve success. It served as an excellent resource for training advice. I utilized articles and videos daily to help me prepare for my contest. It gave me insight on new workout regimes and excellent instructional videos to fine tune my training. The most important aspect of Bodybuilding.com is the plethora of supplements that help to enhance my physique.